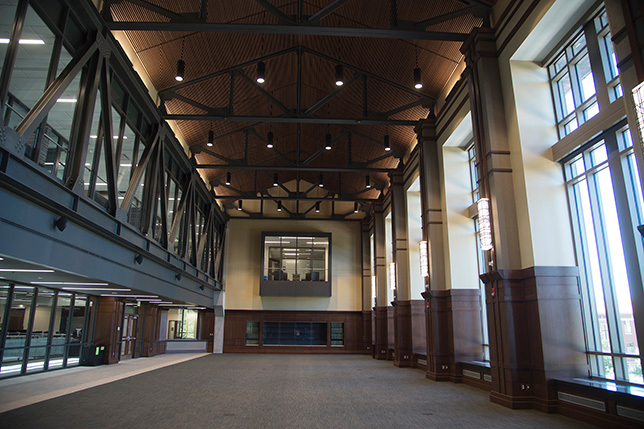 Purdue University students will be attending classes starting this week in a new "active learning center" that integrates flexible classroom and study spaces with library resources and a bakery. 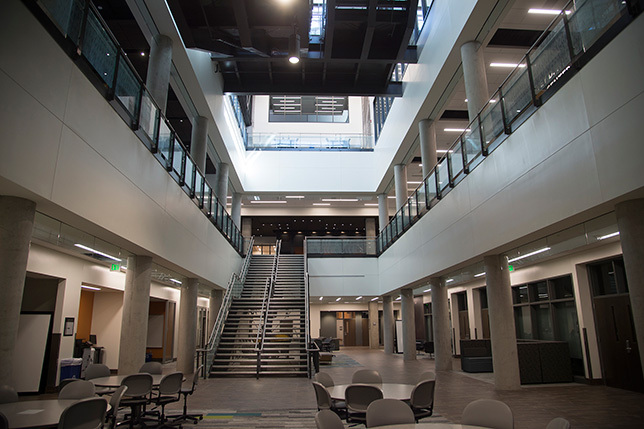 The university opened the four-level Thomas S. and Harvey D. Wilmeth Active Learning Center (WALC) after two years of construction. The new facility was constructed on the site of an old power plant and named for two alumni, brothers who long supported the institution. The concept of active learning is to allow students to take ownership of their own education as compared to traditional classrooms where faculty lecture is the primary instructional practice. Active learning courses may use problem-based or inquiry-based learning, collaborative learning, simulations, gaming or other techniques that immerse the student in projects to bring topics to life. As James Mullins, dean of Purdue Libraries, explained in an article about the new facility, while an instructor may lecture for some part of the period, most class time is spent on projects or problem solving that teams of students investigate and work through. "Studies have shown that students retain information to a much greater extent when they learn by doing rather than by memorization, and the WALC is designed with that in mind," he said. The proximity of the classrooms to the Library of Engineering and Science is intentional, Mullins added. The new center "was designed to blend the learning experience of a classroom with those learning experiences that happen in the library. The center includes 27 active learning classrooms, some with a traditional setup of desks, and others with collaboration tables. The building also houses the Data Visualization Experience Lab of Purdue (D-VELoP) and the Hiler Theater, both of which offer room for classes as well as spaces for students to work in after class. An on-site Au Bon Pain bakery sells coffee and baked goods. The name of the building reflects two brothers who graduated from Purdue. The late Thomas S. Wilmeth earned his electrical engineering degree in 1935; his brother, Harvey D. Wilmeth, earned a chemical engineering degree in 1940. Both co-founded Scot Industries in Milwaukee in 1949, a company that still dominates in the specialty tubing and bar business and maintains 13 plants in North America. "The Wilmeth Active Learning Center is a glimpse of the future," said Purdue President Mitch Daniels. 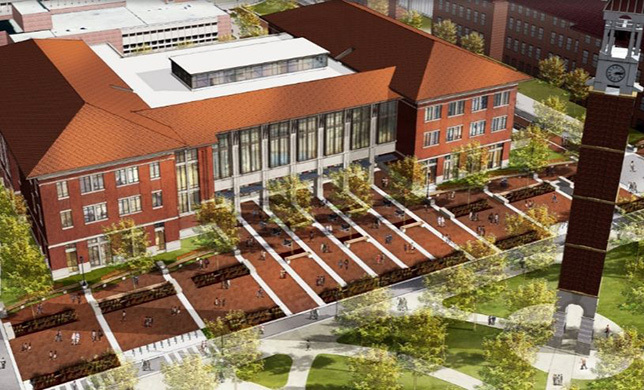 "This innovative approach to classroom design and teaching is part of Purdue's commitment to transforming education and giving our students the best chance to truly learn and succeed." The university has published a smartphone tour of the new facility, which runs on any web-enabled mobile device. That's available on the Purdue WALC website here.